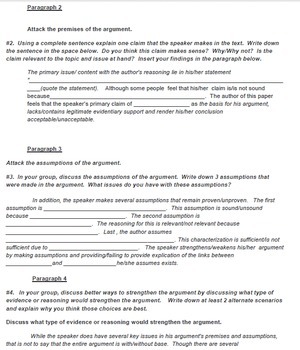 CCSS.ELA-Literacy.W.7.1 Write arguments to support claims with clear reasons and relevant evidence. 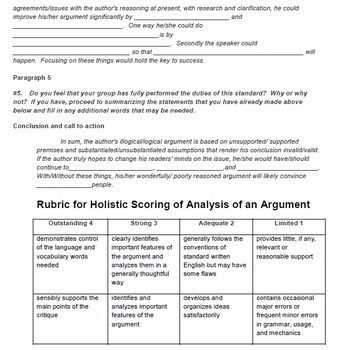 Content Objective: The students will be able to speak and write the words necessary to explain their argument. 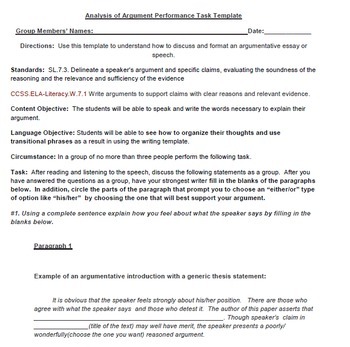 Language Objective: Students will be able to see how to organize their thoughts and use transitional phrases as a result in using the writing template. 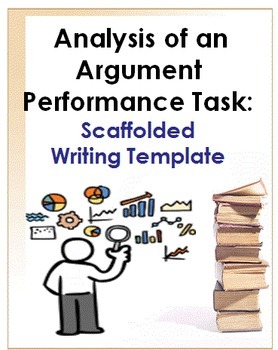 If you teach a different grade level you may tweak the template to your liking. Please do not forget to rate and follow, and I will follow back. Have a great day!